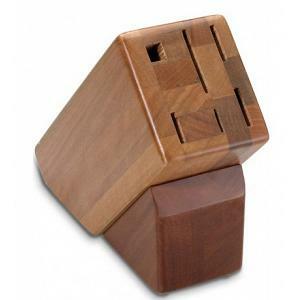 This beautiful knife block from Victorinox Swiss Army is made from dense grained hardwood and holds 7 knives, 1 sharpening steel, and 1 pair of shears. 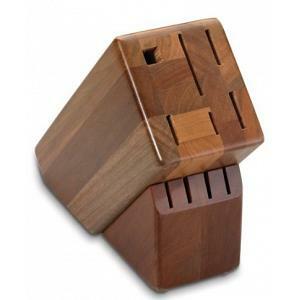 The block is designed to protect the knives you store so you never have to worry about ruining your cutlery. 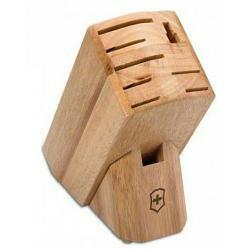 The hardwood knife block is slanted for easy access, is made in Switzerland, and has a lifetime warranty.